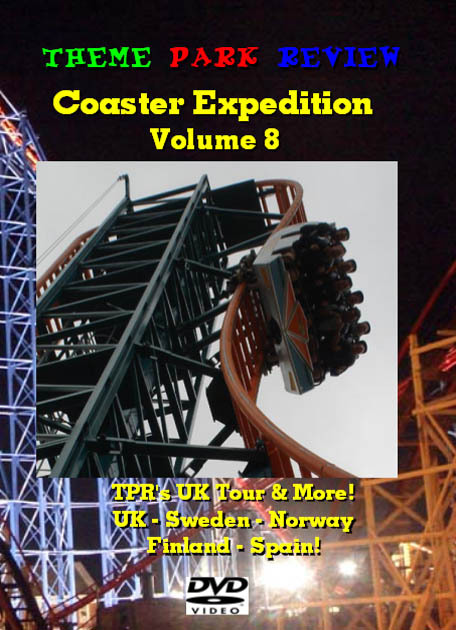 Coaster Expedition Volume 8: TPR's UK Tour & More! UK - Sweden - Norway - Finland - Spain! Disc 2 "Coaster Footage 2006" - UK - Sweden - Norway - Finland - Spain! 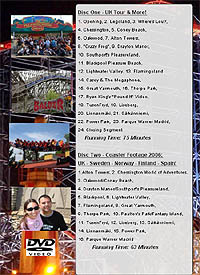 Includes onride, offride, and POV (front seat camera) footage of more than 35 different coasters! 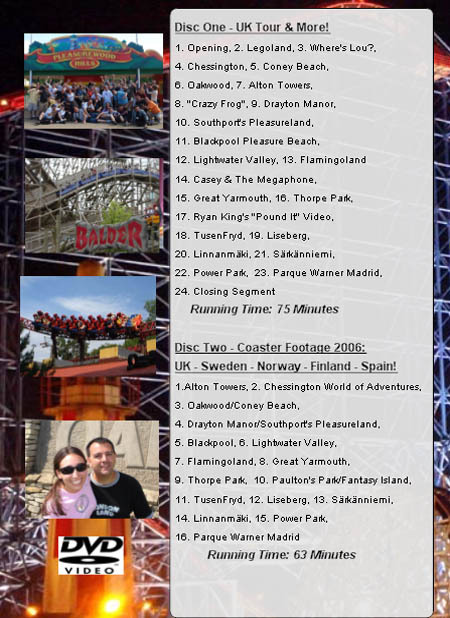 "POV" = Complete Onride Front Seat Footage "Onride" = Complete Onride footage from other than front.